The Magic Farm is a third-party modpack assembled by JadedCat for Minecraft 1.5.2 and hosted within FTB Launcher. This modpack is very different from most of other packs, which has made it relatively popular. 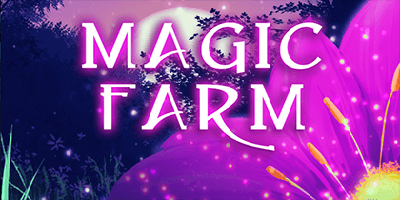 Magic Farm requires players to test their skills at staying alive with increased hunger rates and many different food nerfs. This modpack also has increased the difficulty by limiting what the player can and can not do right at the start. Basic tools? Who needs tools... Oh wait, you will. And you'll have to figure out new ways of crafting them. The main worldgen mod is Biomes O' Plenty. New biomes now exist in the Overworld and Nether. Beyond that, there are several other mods involved that create new ores at all world levels. The NPC villages will have farms with various new plants due to GrowthCraft, HungerOverhaul, and Pam's HarvestCraft. Dotted across the landscape will be new wild plants as well as various new seeds obtainable by cutting down tall grass. The hunger dynamic is different from what the players are used to: you are getting hungry much faster than usual, and the Vanilla food does not fill as many hunger bars as before. Since the modpack is made to grow crops to make food, it is the food the players creates that fills the most hunger bars. Those new crops mentioned above in villages? Great, great idea. In version 2.1 of the pack, MineFantasy adds a certain difficulty: players need to obtain the correct tools in order to get simple things such as Iron Ingots. Even though this is not a "Tech" pack, some new "machines" are needed to create various things within the World. Don't depend on NEI, as many of the crafting recipes have to be researched online. Version 3+ of the pack replaces Mine Fantasy with Tinkers' Construct, another mod where much more than just a basic crafting table is necessary to get you what you need to survive.